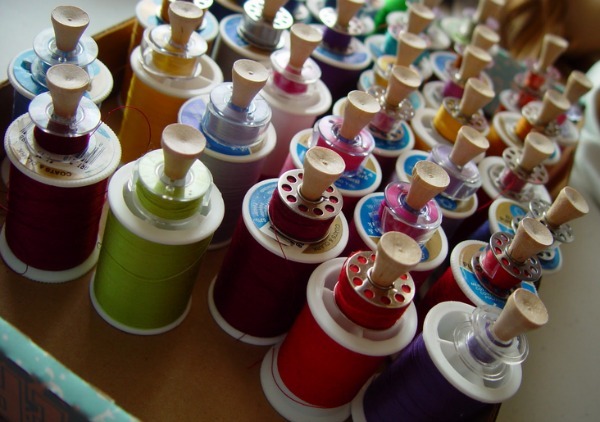 We all know that thread can get messy but toss in those bobbins and things can get out of control. I swear, I day-dream about finding a better way to detangle my thread basket and keep things neat and tidy! 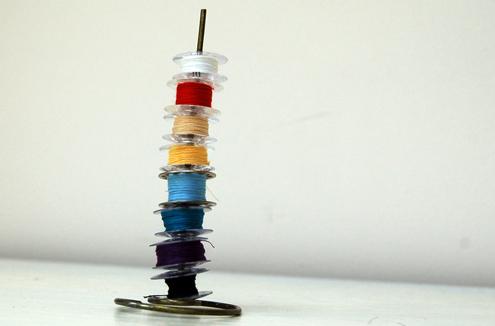 This little tower of goodness will keep your bobbins neat and look good sitting at your workstation. Be sure to pick up a few of these manicure separators the next time you spot them at the dollar store. They are the perfect size for bobbin storage and will look pretty cool in your drawer. 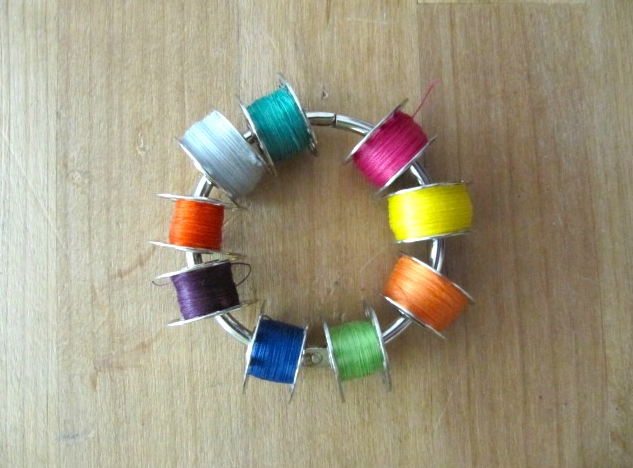 Keep your thread and matching bobbin together with a simple rubber band. Brilliant! 4. No more loose threads! Sugar Tart Crafts shows us how to transform plastic tubing into a magic thread eraser! 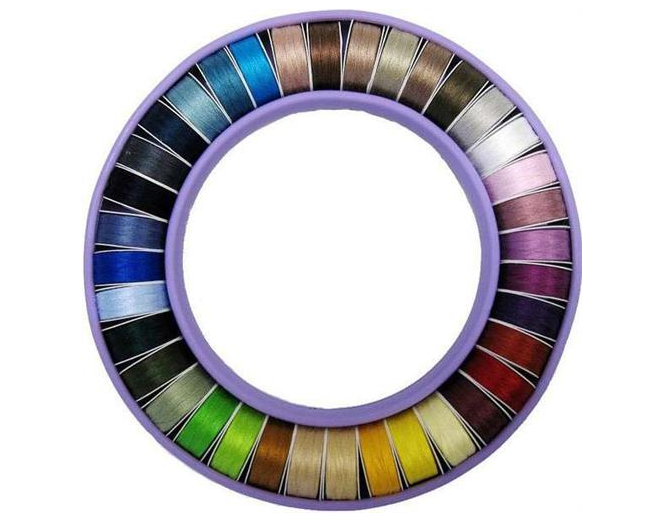 This is such a fantastic idea for anyone with an extensive thread collection. Who would have thought that these little wooden tees could be so helpful in our sewing space. June Tailor also offers a similar solution that you can find on Amazon or at your local fabric shop. 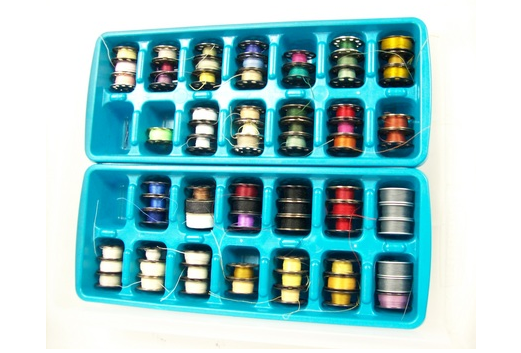 These little plastic containers are perfect for bobbin storage in so many ways. Each compartment has a snap closure so they will not fall out when in transit. 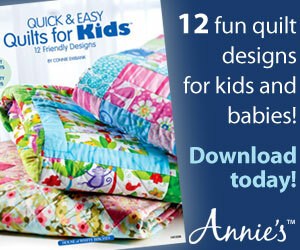 Again easy dollar store pick up item is perfect for your sewing room. 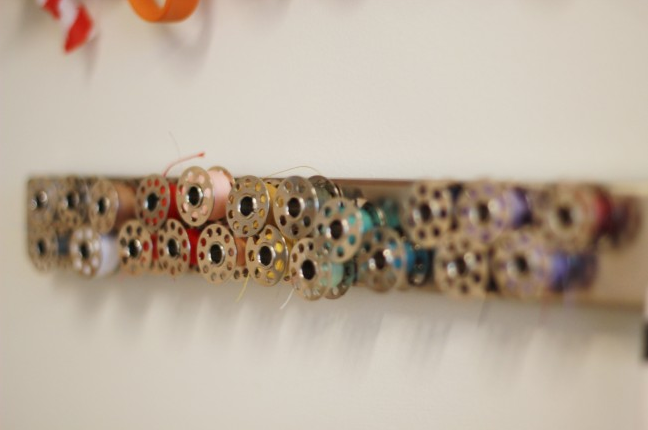 Each area can be loaded up with your bobbins and stacked away neatly in your drawer for a later use. 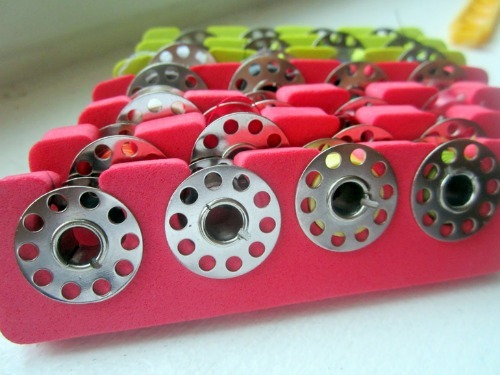 This is an easy way to keep all your bobbins in one place and never worry about them spilling again. 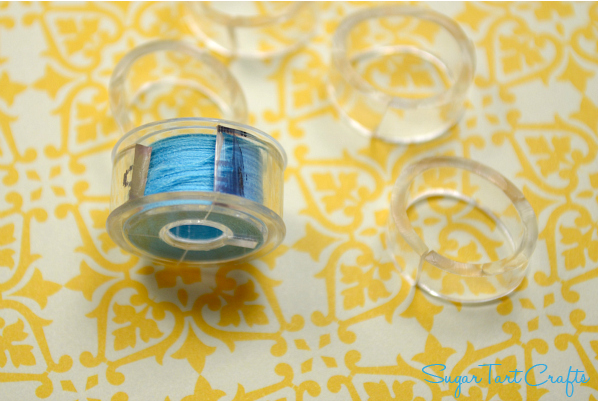 This simple round ring will hold over 20 bobbins and prevent them from unwinding. You can find these on Amazon or at your local fabric shop. Outta the box thinking is right up my alley and this storage solution is fantastic. Just a few bendable straws and you are set. Grab a wire hanger and a set of pliers for this creative storage solution. The best part of this option is that it’s free! This clever solution really makes me smile. Just open up the hinge and slip the bobbins around the ring. 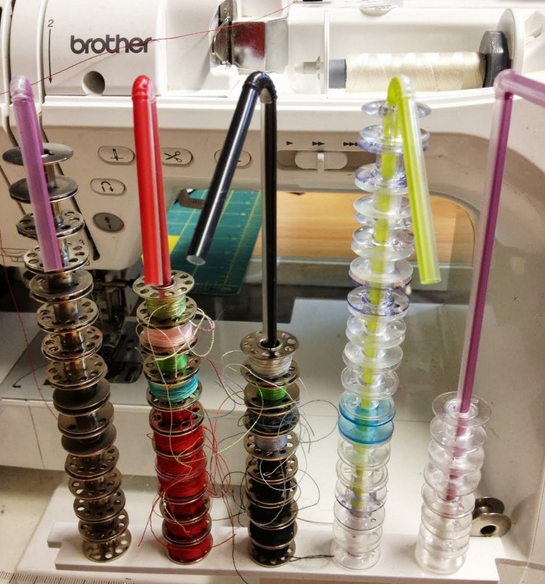 Now, this one would not work for me since my bobbins are clear plastic but for all of those with older machines and metal bobbins, this idea is a keeper. 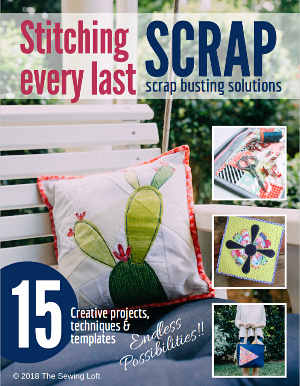 With all these cool ideas for easy storage options, our sewing space should be neat, tidy and ready for the next burst of creative energy. 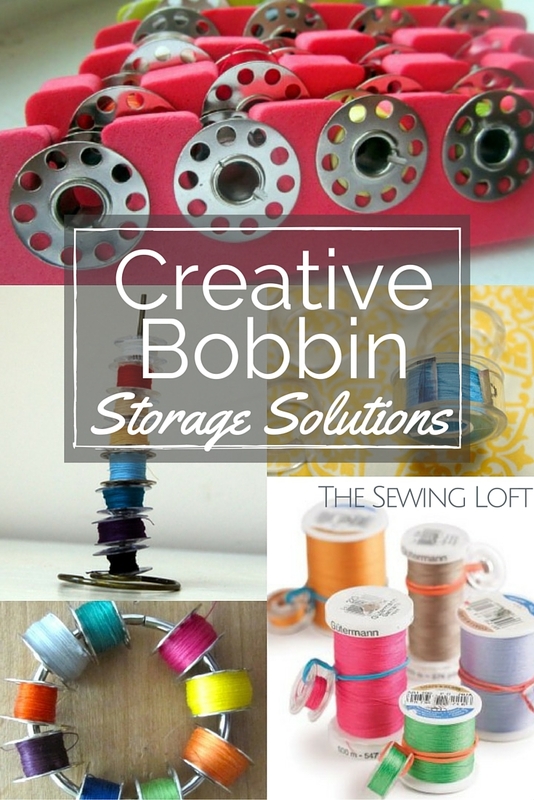 Let me know in the comments if you have a different way to storing your bobbins. 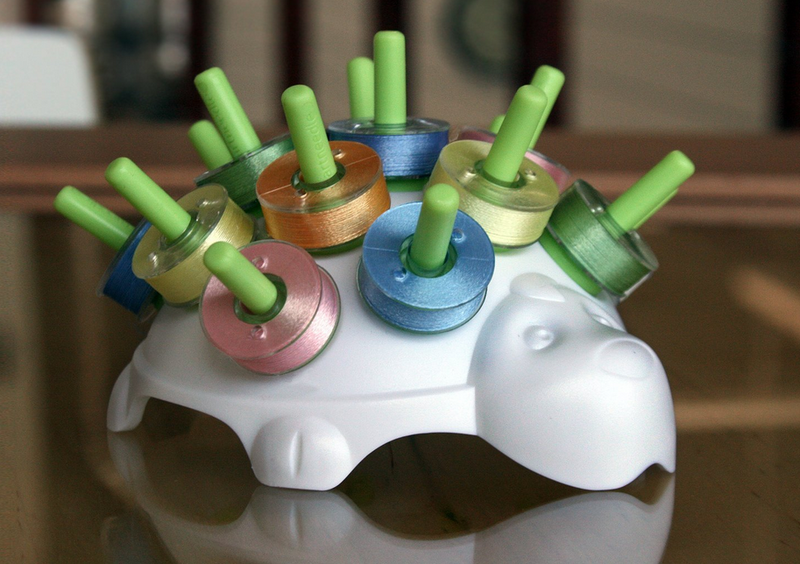 Not sure exactly how to wind your bobbin? Learn how with my quick video. I purchased several of the thread boards, (the ones with pegs sticking up and can be hung on the wall). I then cut drinking straws into 4 pieces and placed each piece over one of the pegs. 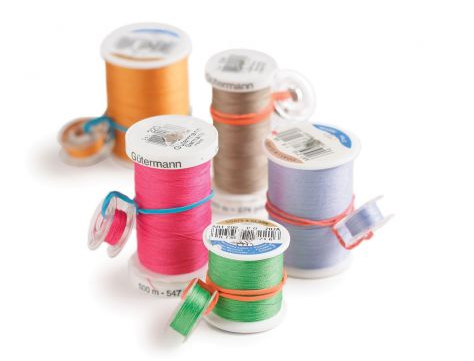 When I buy thread, or create a bobbin, I place the spool of thread on one of the pegs (with the straw piece in place) then add the bobbin on top. That way, you KNOW that the bobbin matches the thread exactly!! 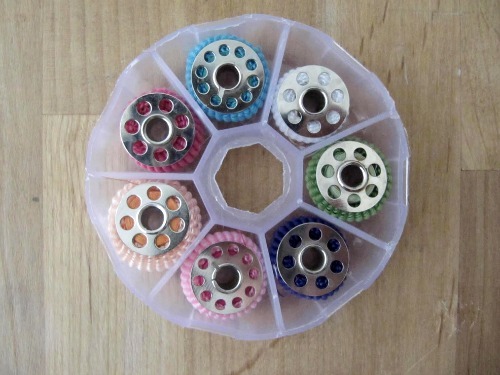 Yes, it requires I buy extra bobbins, but to me it is worth it. Now that is genius! I must try it. Thanks! 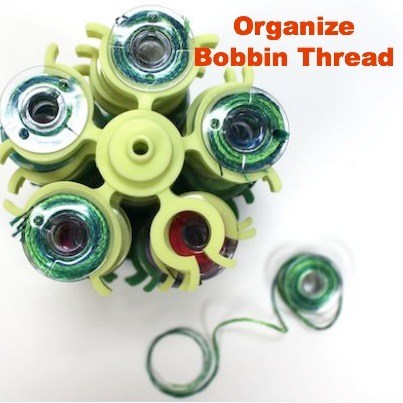 One thing to keep in mind with storing metal bobbins on a magnetic strip is that the bobbins can become magnetized and may no longer work properly within a metal bobbin case of vintage machines.